Chic, geometric pendant! 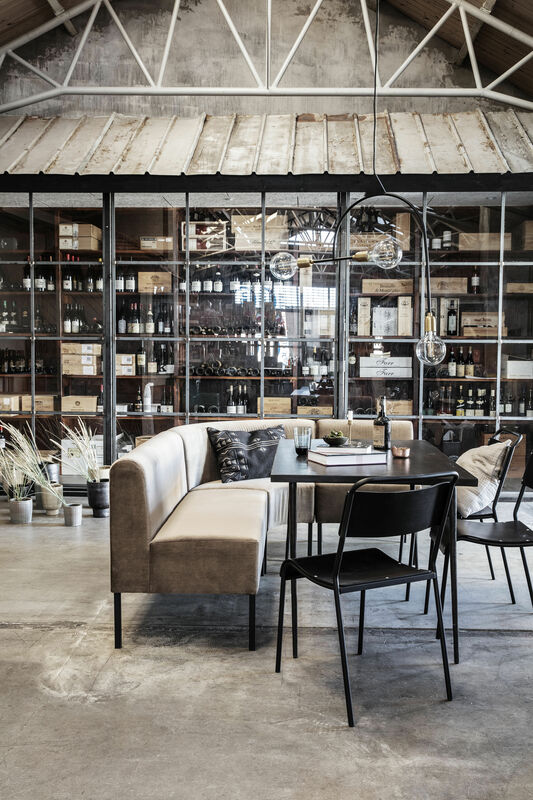 With its attractive sculptural, asymmetrical forms, Arch adds the finishing touches to your interior by bringing an astonishing modern feel ... 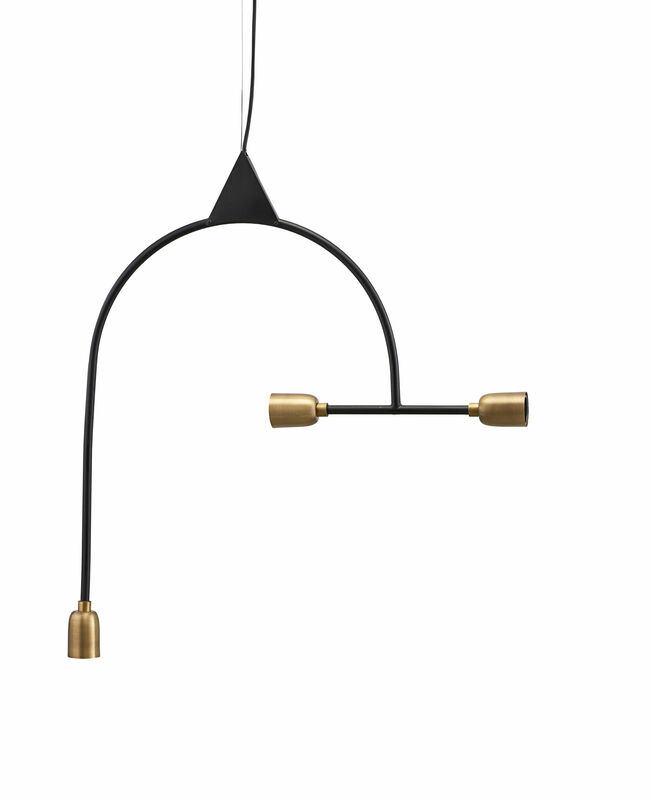 This pendant has a structure connecting a long, curved arm to a shorter horizontal bar. Three beautiful brass sockets complete this structure at their ends. Thanks to this original construction, the bulbs point in different orientations to provide lighting for your room in three directions. 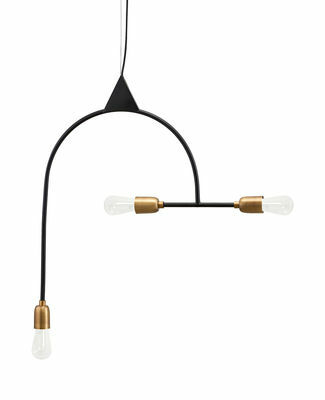 You can also play around with proportions by choosing bulbs of different sizes, or mixing powerful and soft lighting. Please note: the price shown is for the pendant only: bulbs not supplied.